Metro Systems South Africa has top of the range Eminence Sound Speakers to sooth your car and household sound and they are internationally made. The American manufactured Eminence Speakers are rocking the sound waves at the China Southern Africa Expo and Trade Centre. The shop is the only supplier of these unique speakers and they only come to you on a placed order. 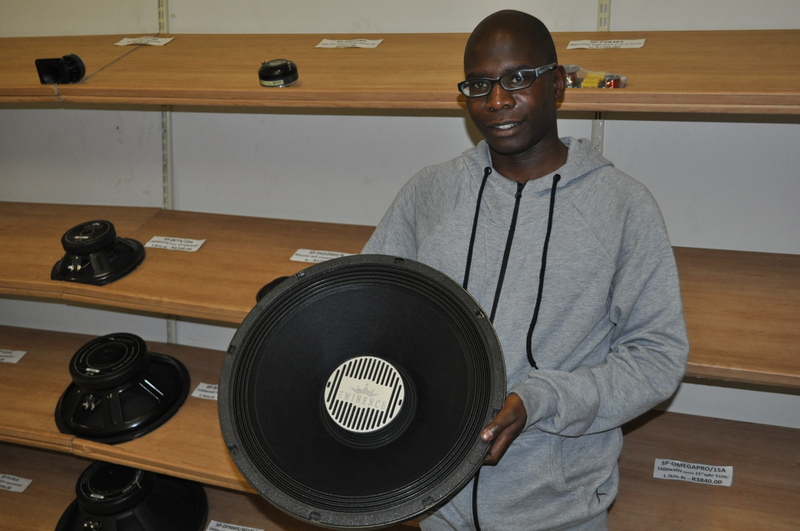 Nick Mafu (Pictured), the owner of Metro Systems SA said you can purchase these speakers only from them because they have the selling rights. “You can go wherever in the country you can’t find them anywhere except her at the China Southern Africa Expo and Trade Centre. “When you buy, we then place an order to our suppliers in America and they will then be delivered directly to us as the sole suppliers here in South Africa,” he said. The speakers are for both your car sound as well as your home theatre sound. The brand is one but we have different sizes for the speakers depending on how much noise you want to make. The shop is in a process of introducing the PA Systems as part of reaching a bigger sound market. The shop is located on a level ground of the mall Shop # 23 or you can contact them on +27 748 249 458 or email: sales@metrosystems.co.za.